Reinforced tab and folder top provide extra durability and strength. Undercut front to increase indexing area. Pendaflex Two-Ply Dark Kraft File Folders, 1/3 Cut Top Tab, Legal, Kraft, 100/Box - Top-tab folders feature assorted 1/3-cut tabs for your filing needs. Reinforced tabs are 1/2 high and undercut for label visibility. Top corner is rounded. Folders are scored for 3/4" expansion. 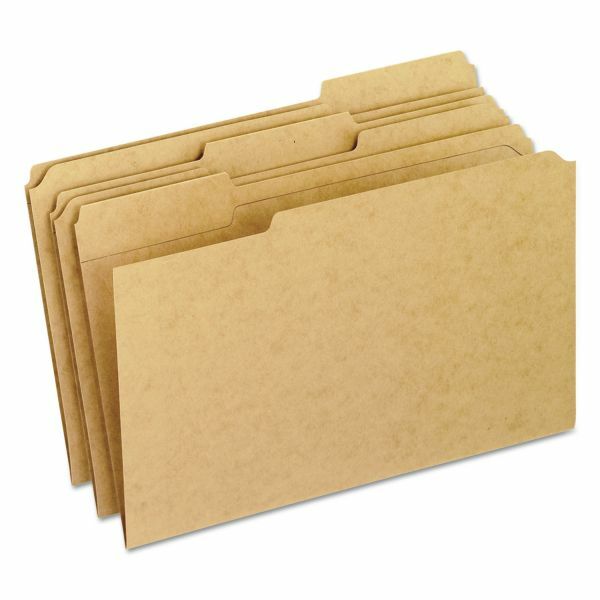 Folders are made extra-smooth, 11 point stock.